New VAIO laptops have been unveiled this week in the form of the VAIO S with TruePerformance that will be available to order later this month, on February 12th 2018 and is now available to preorder with prices starting from $1,199. The new range of VAIO S laptops are equipped with 8th Generation Intel Core Processor and VAIO TruePerformance technology, designed to maintain a higher performance for a longer period of time by overclocking the CPU and GPU but efficiently eliminating extra processing heat. Both Intel 8th Generation Core i7 and Core i5 processor options are available and the VAIO S range comes fitted with a 13.3″ full HD display all encased in a moulded magnesium alloy casing providing both a robust and durable enclosure while providing smooth lines and aesthetic’s. The VAIO S case is further reinforced thanks to the addition of “ribs” at certain locations. The new VAIO laptop is equipped with RGB Output, HDMI, LAN Connector, 3 x USB 3.0 ports the AC power adapter is also equipped with a USB port providing a handy extra charging port when required. 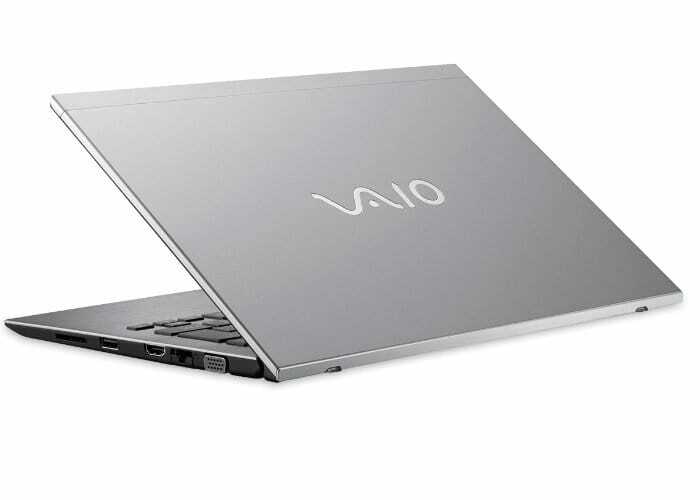 As standard the VAIO S also comes equipped with a built-in finger recognition system to provide extra security to user documents and passwords. For full specifications and configuration options jump over to the official VAIO website via the link below.